This is a very simple worksheet I have created because my students need to practise it and the reason is that they usually make mistakes using infinitives and gerunds. I hope you like it. Thanks for downloading. The above downloadable printable is meant for high school students and adults at Intermediate (B1) and Upper-intermediate (B2) level. 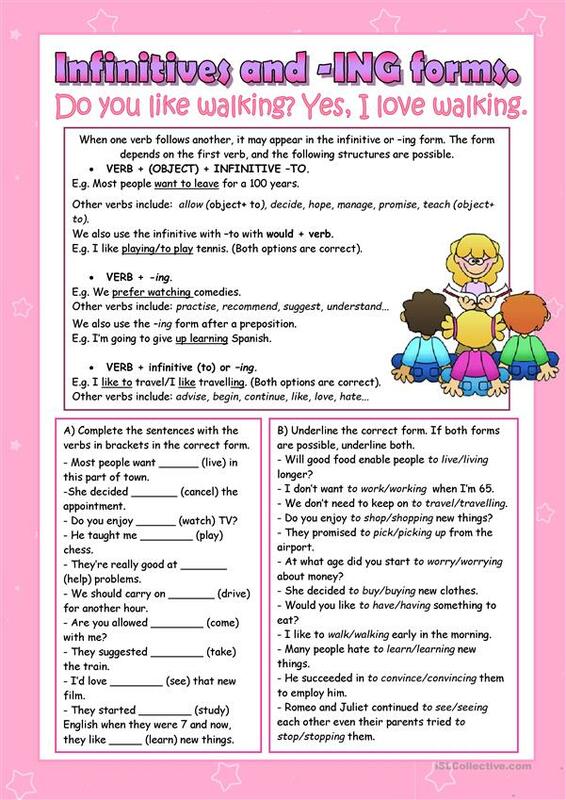 It is aimed at consolidating Gerunds and Infinitives in English.